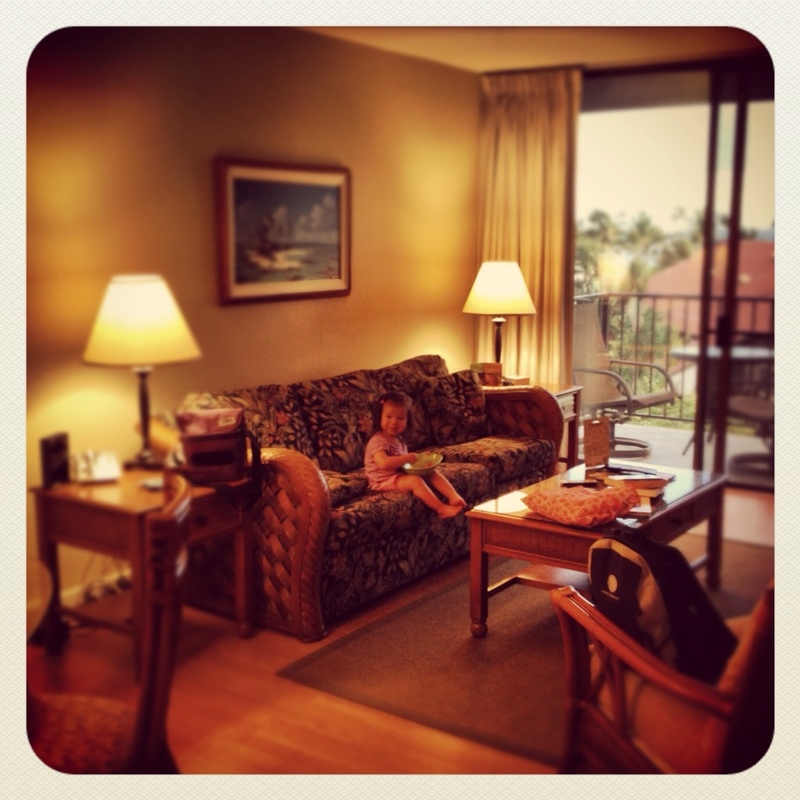 Before coming on holiday here in Maui, I decided that I would be bringing my Apple TV from home with me, since I knew that wifi would be available (and free) in the condo. The size of it is quite small; I was able to fit it in a small Ziploc bag. Setup of the Apple TV was easy: Plug in the hdmi connector to the TV, plug in the power cord, input the wifi password and I was set to go. 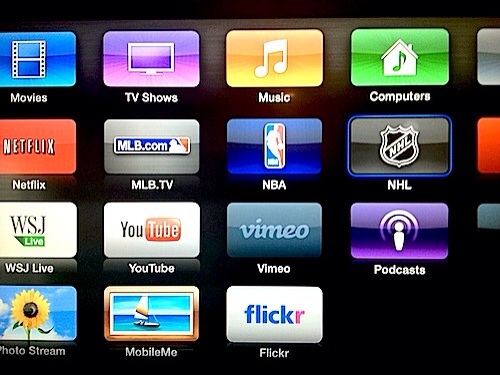 A general use of the Apple TV would be to rent movies, be they from iTunes or Netflix. There are quite a few other ways to enjoy it as well, as you can see from the menu below. Straying from the movies options, quickly found two other ways to use it. 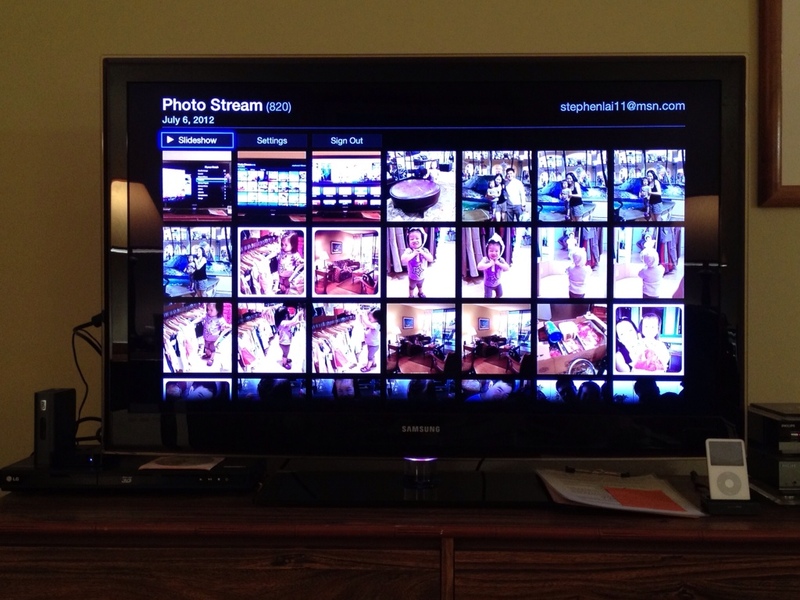 Another benefit of having the Apple TV while on holidays is Photostream. In short, Photostream is a free service from Apple that keeps the last 1000 photos taken from all your devices and shares them between them. For example, when I take some photos with my phone, I can view them almost immediately from my iPad, providing that both are hooked up to the same wifi network. 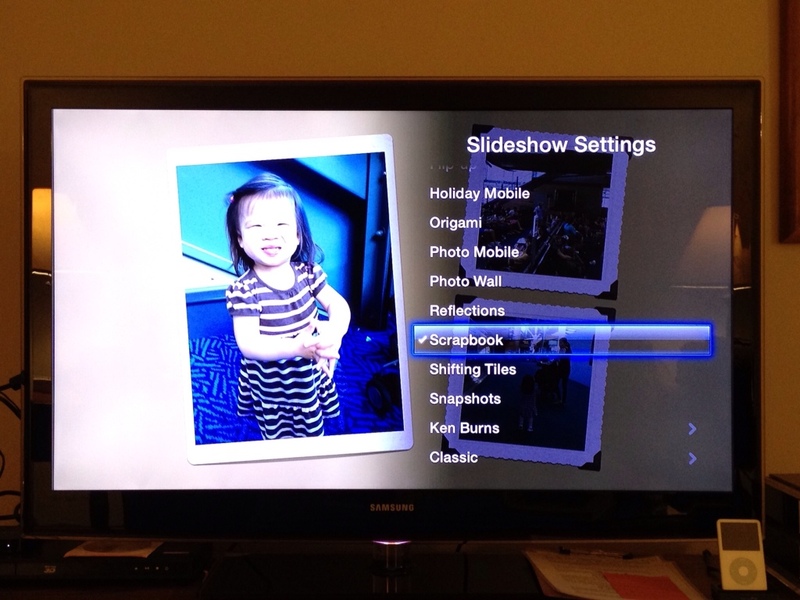 My toddler was able today to view a slideshow of photos that were taken this morning. This was pretty neat as she was able to view pictures from breakfast, her at the playground, and her playing at the beach. So instead of having her watch (too much) television, she happily sat there commenting on all the past days events, just by looking at the photos. Apple TV: Should you get one? 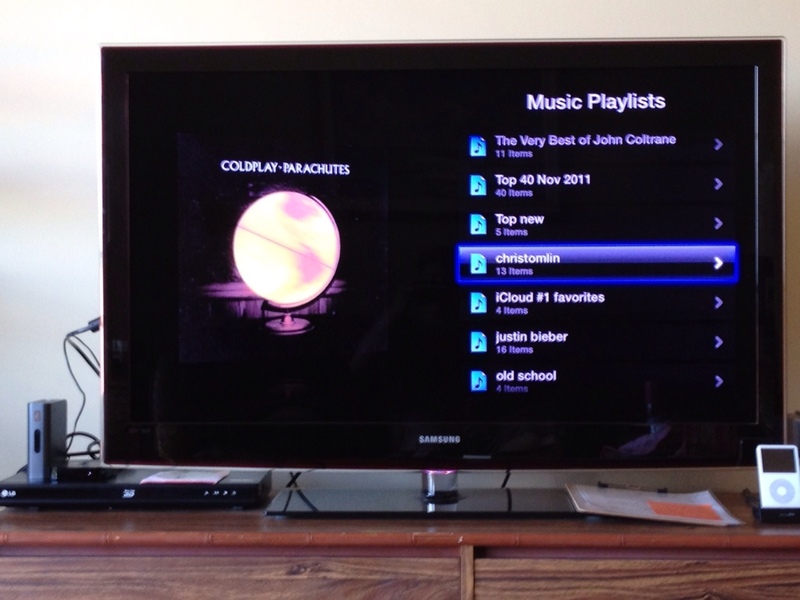 If you are not too familiar with the Apple TV, it is a $99USD box that is quite versatile. It will allow you to fully mirror your iPhone or iPad to the screen. There have been numerous articles written on it on how to use it for the classroom. Just last week, I was able to stream YouTube clips to show over fifty people in the gymnasium, using just my phone! Depending on your wifi strength, you will get very good results. I had no lag once the videos started. I would highly recommend getting one for your classroom, especially if you will be using iPads in your instruction. There are countless ways mirroring your iPad would be useful. Do any of you already use Apple TV in your classroom? How has it been going? Let us know in the comments! simple, yet effective. A lot of times it’s hard to get that “perfect balance” between usability and visual appearance. I must say you have done a very good job with this. Also, the blog loads extremely fast for me on Chrome. Exceptional Blog!